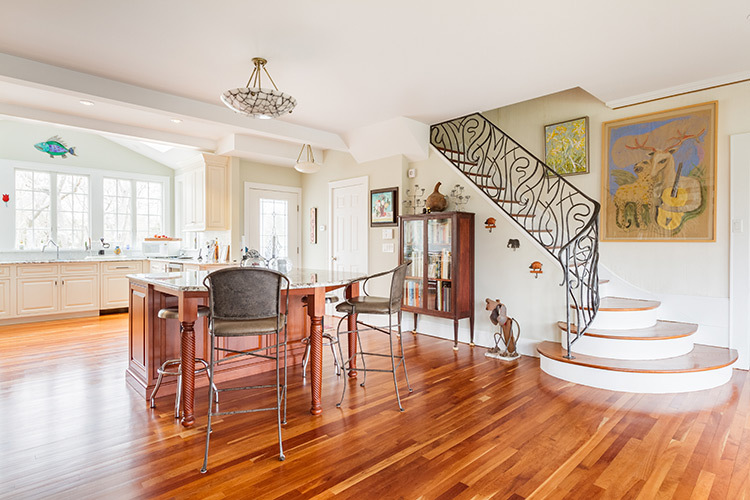 The hand forged elements combined with a lyrical sweeping style and exclusion of upright posts give this railing an intensely organic appearance. The client requested an antiqued silver finish which we achieved with the application of a faux patina. The finish gave the railing a wonderfully engaging look. Many hours went into designing this project to give our client exactly what they had envisioned.